Are there DVDs available of her promo videos/1979 tour? Sadly, despite big demand, nothing as of yet has been released in the DVD format, only official video tapes, laser discs and video CDs which were issued in the 1980s and 1990s. After questions about a new album or the possibility of live dates, this is the question I am most often asked by site visitors. She is! In March 2014 Kate announced that she was going to perform 22 shows in London’s Eventim Apollo in August/September 2014. Her first live shows in 35 years. The shows are titled ‘Before the Dawn’. Before this, Kate had only ever undertaken one tour in her career. This was in 1979 and was called the Tour Of Life. It was a huge success on every level. However, since those early “fame” years when Kate had the usual punishing celebrity schedule, Kate has focused much more on what she feels is important; creating the music. Also, despite the unique and often dramatic presentation of her work, Kate is a very normal, down-to-earth person and would only ever embark on a series of concerts if she felt totally focused on that goal. And in 2014, she is doing just that! Peter: Kate had seriously considered and started planning tours in 1983 after The Dreaming and in 1992 for The Red Shoes – however at the end of the day I don’t think she sees the need to go up on stage and reproduce music she’s already spent years trying to perfect in the studio. If you want the music, its on the albums. Why do you want live performance on top of that? Is Byron’s poetry any better when read aloud by the poet himself?? Kate’s had a taste of the celebrity trip and doesn’t really like it and all that goes with it. Not that I rule it out for always. She might wake up one morning and decide to do it! Update: March 2104 – she woke up one morning and decided to do it! Why does she take so long to make her albums? In interviews Kate has expressed a wish that she could work at a faster pace, but so much of Kate’s work is experimental. This takes time. Kate works in her own purpose-built studio for the most part so that she can get everything exactly the way she wants it. Also Kate invests a great deal of her time in just living an ordinary life like anyone else. She finds it hard to be a celebrity, performing on demand. And so she sets her own agenda. She would find this much more difficult were it not for the respect which is shown to her by her fans, her record company and her fellow artists. Peter: Browning I think it was used to take a month to write four lines of poetry. Kate completely sets her own agenda and won’t be pushed around by the demands of record companies or fans, grateful though she is to the latter for their interest. They have to realise that they don’t buy her when they buy her records. They aren’t doing her a favour by buying her records. They don’t own her. She isn’t a politician who has to respond to the demands of her constituency. She responds to her own inner inspiration in her own time. If people can’t accept that, then really its too bad. When the music comes its worth waiting for, and in the mean time there are plenty of other good artists and musicians producing stuff worth listening to. Can you pass on an email to her? Sorry, but this is just an unofficial news service. The only way to write to Kate since 2011 is through her official site and Facebook page (see below). Is the Kate Bush fan club still running? Dear all friends of the official Kate Bush Facebook page and members of KBC. We’re really pleased to see so many people using this page and appreciate all of your wonderful comments. Like everyone else we’re moving forward in this digital world and will therefore not be accepting physical mail to KBC any more. So with that, we’re very proud to announce that this page is now the official place to go to and leave your comments. Is there an official Kate Bush web-site? Yes! 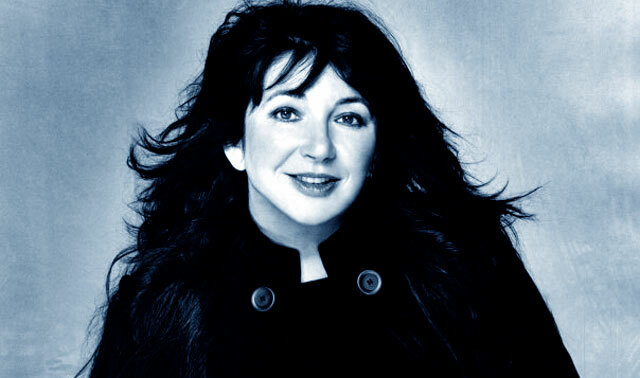 Just before the release of the Aerial album, in September 2005, Kate finally launched her official website at WWW.KATEBUSH.COM This site is now going to replace most of the functions of the Kate Bush Club, so messages from Kate to her fans will be posted there. You can also join Kate on YouTube (http://www.youtube.com/katebushmusic) and follow her on Twitter (http://twitter.com/katebushmusic). Homeground magazine could be termed “semi-official”, since Kate knows them personally and they join forces with the official fanclub and Kate to organise conventions when the albums come out, but Homeground is run independently. Other Kate Bush themed web-sites are listed in our Links. The greatest of these is Gaffaweb, a hugely comprehensive resource of archived information about Kate’s work. Peter: I doubt if Kate would accept the term “semi-official”, but there’s probably no better way to describe our strange relationship! What is the inspiration behind the song ‘This Woman’s Work’? Due to this song’s perennial popularity I’m often asked this question. Kate wrote the song specially for a sequence in the film “She’s Having A Baby” (1987 – directed by John Hughes) where a man is waiting helplessly in a hospital while his wife gives birth in the next room. The song is from the man’s point of view as he worries about his loved one. She actually recorded the song to match the visuals in the film, but it turned out to be one of her most celebrated works on its own. It is available on the 1989 album ‘The Sensual World’.